"Sam's Politically Incorrect Web Page Against the Neo-Fascist "Liberal" Establishment"
Originally published in Sweden in 2001, this powerful little book has now been published by the CATO Institute in the United States. The book is also available in German and French editions. 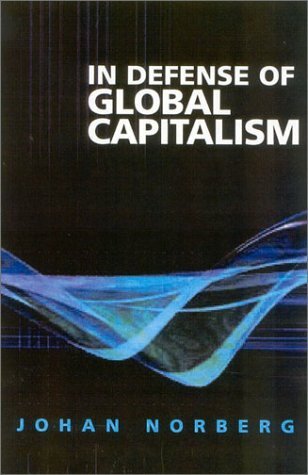 The author deals with one of the most important ongoing debates in the world today, the debate over "globalism" -- that is between individual freedom and market capitalism versus the bureaucratic dictates of a socialistic new world order. The fundamental choice confronting the people of the world today is between two opposite types of "globalism" competing with each other: Market Internationalism on one hand and Socialist Internationalism on the other -- that is, free markets and private property versus the regulatory state and bureaucratic socialist monopolies. In the crucially important war of ideas, the overall struggle in the world today is between two powerful ideological causes: the movement toward more freedom and free markets, based on private property rights and consistency in the rule of law versus the reactionary forces of the anti-capitalist Left pushing for more government regulations and socialism to take over the world. This book articulately defends those trends which are helping to spread market capitalism and cogently responds to many of the neo-Malthusian and Marxist charges against private ownership and market freedom. To get a copy of In Defense of Global Capitalism for yourself or as a gift for a friend, please click on this line! 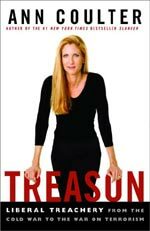 Ann Coulter's brand new book, Treason: Liberal Treachery from the Cold War to the War on Terrorism was not set for release until the 24th of June but prepublication sales already began topping amazon.com's ranking at number 3 -- surpassing Hillary's politically spun and loudly trumpeted memoirs! This is great news because Ann Coulter tells the truth and pulls no punches. In her previous book Slander and in her syndicated columns, she demolishes liberal-left myths, lies, and smears. Ann Coulter's new book breaks the "liberal" establishment's book publishing barrier like no previous anti-socialist book since her own Slander and sets straight several issues, including the truth about Joe McCarthy and his fight to expose communist networks in the United States. Using information declassified from KGB files and other sources, Coulter blasts away the ugly "liberal" smears against this courageous U.S.Senator. Ann Coulter is blunt about exposing the chronic intellectual dishonesty of the "Liberal" Establishment's coverup for and enabling of their anti-American communist brothers. Ann Coulter dares call it treason. "The myth of 'McCarthyism' is the greatest Orwellian fraud of our times," Coulter reports. "Liberals are fanatical liars, then as now. Everything you think you know about McCarthy is a hegemonic lie." "McCarthy was not tilting at windmills. Soviet spies in the government were not a figment of right-wing imaginations. He was tilting at an authentic Communist conspiracy that had been laughed off by the Democratic Party. " It looks as if a significant portion of the American people will be exposed to the truth, as the "liberal"-socialist media establishment can no longer use the "silent treatment" and just ignore such books as Coulter's and the new book by former Secret Service agent Gary Aldrich. Both Coulter and Aldrich can be expected to come under severe attack by the leftist-dominated media desperate to shore up the waning crediblity of socialism and communism. Click on this line and buy a copy. Coulter definitely has a way with words when it comes to those undermining America's security and freedoms -- and dares call it treason.